To lay out the whole document in columns, select Layout > Columns. Choose the option you want, or choose More Columns to set your own column format. Select the paragraphs you want to lay out in columns. 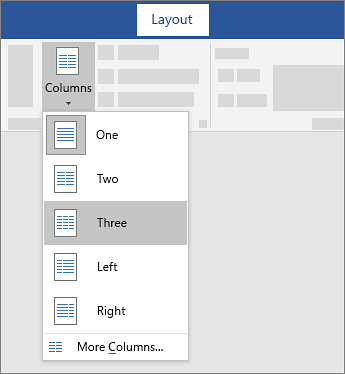 Select Layout > Columns, and then choose the options you want.